The first new Diplo in 12" in f**kin ages has just landed on us, and it's a raving beauty. His stupendous remix schedule has seen him reworking everyone from Tony Allen to Justice in the last year or so, reshaping them in the inimitable Diplo style with oodles of Dirty South bounce and B-More suss, but we've all been crying out for some fresh Diplo gear, because you know your party needs it. 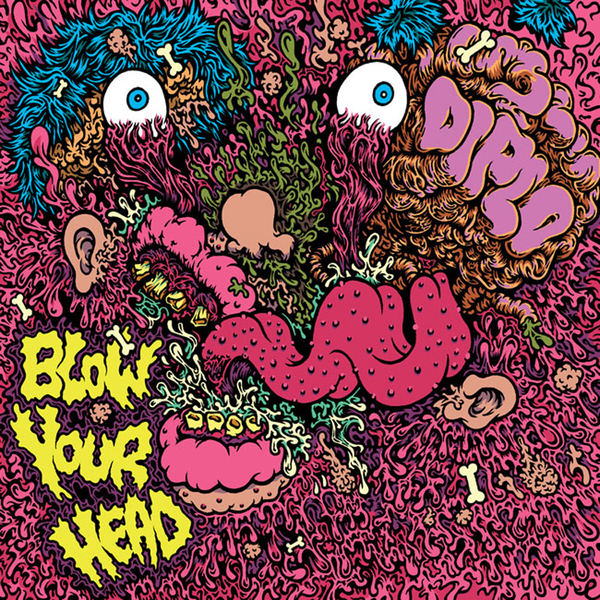 'Blow Your Head' is straight up good times gear, having some craic with a well chopped Amen break and THAT staple JB's sample, taking it back to old-skool methods just to show how he can make something entirely fresh and funked out of the same old ingredients in the truest hiphop style. 'Must Be a Devil' follows for the nu-skool house crowd, all Sinden style Pro Tools edits and lazer etched synthlines that the kids gobble up these days, spliced with a killer geetar edit and the all important good times ethic that makes Diplo tunes so much fun. Crookers, Bart Bmore and DJ Sega hold down the b-side with respective versions of 'Wassup Wassup' feat Rye Rye in jamming electro house, darker B-More and krunk house modes to further stoke your fire and make this a purely indispensible plate for any party jocks. HUGE!